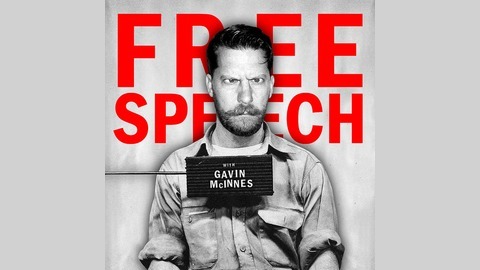 FREE SPEECH The world’s most uncensored podcast is hosted by “Godfather of hipsterdom” and Fox News regular Gavin McInnes. 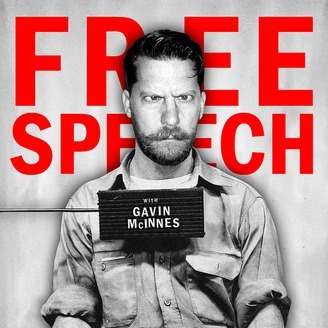 Whether he agrees with his guests or gets in an angry screaming match, McInnes always seems to draw out an unprecedented level of honesty which makes for a conversation that is always controversial and never boring. The point of this show is to counter political correctness and the war on fun going on in America today. Though every single episode seems to spark some sort of backlash, “Free Speech” remains committed to promoting equality by offending everyone equally.